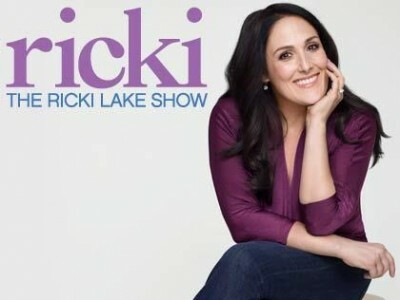 Actress and host Ricki Lake returns to daytime television with a new talk show, some eight years after the end of her long-running Ricki Lake TV series. While her previous show focused on younger viewers and sensational topics, this one aims to present topical conversations reflecting the host’s own personal journey and recent life experiences. They include family, marriage, parenting, divorce, weight loss and overall well-being. Episode #186 — Who Do You Think I Am? Individuals who have kept significant secrets from family and loved ones discuss the consequences and rewards for finally telling the truth; a husband who was born female; a husband who has a second family; a serial killer’s daughter. What do you think? Do you like The Ricki Lake Show? Do you think it should have been cancelled or renewed for a second season? More about: The Ricki Lake Show, The Ricki Lake Show: canceled or renewed? Im getting bad news left and right arent I? Her show was far more enticing to me than anything else you put in her time slot. I am not happy about it being canceled. I never saw the kris show and never cared to. If that gets renewed I lost all faith in tv. Ricki and Steve were my shows. And what bethanny replaces her? Gah no faith in tv. Ricki is a very good show host! Her shows are geared for everyone. Please KEEP HER SHOW ON!! I love Ricki Lake and want her to succeed with her TV show so I have a few constructive remarks to make: Ricki, you need a COMPLETE MAKEOVER. from your hair, to your clothes, to using your hands too much. Let’s have some bright colors popping out of your clothes instead of your drab colors always covered up with something black. You have a beautiful face. Pull your hair up and show it off. Bring back that self-confidence that at sometimes you lack, and it shows. Be the woman that you are. Radiant!! !